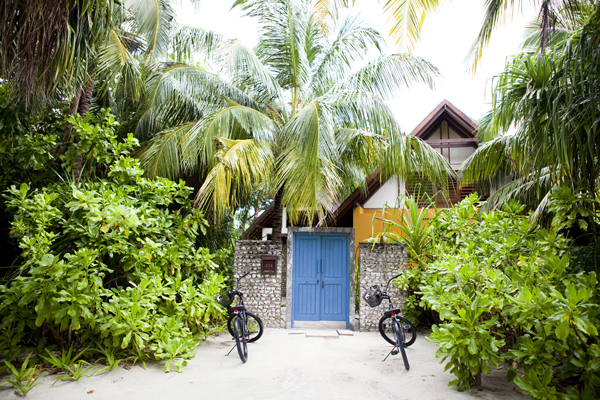 Coming to Landaa Giravaaru, short Landaa, felt like a dream. 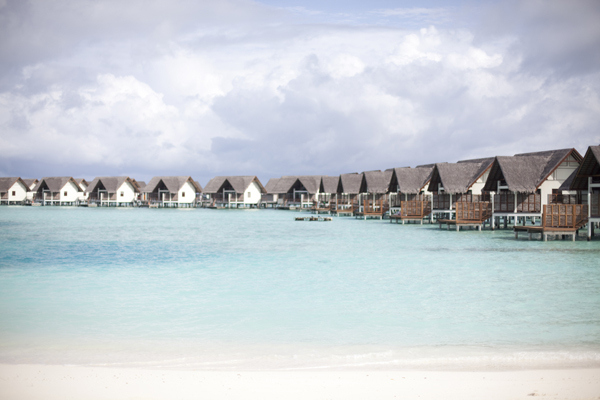 We had just been spending 4 amazing nights at the Four Seasons Resort in Kuda Huraa, another Maldives Island, (we wrote all about it here) and we really didn’t think there could be any upgrade from there. There was. 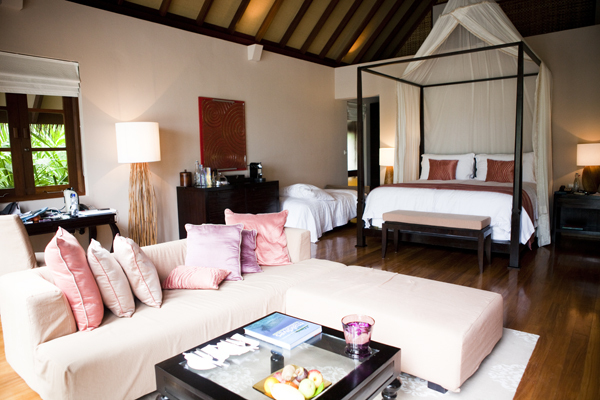 The villa itself was super spacious and provided a massive king-size bed as well as a gigantic bathroom, dressing and a sitting area. 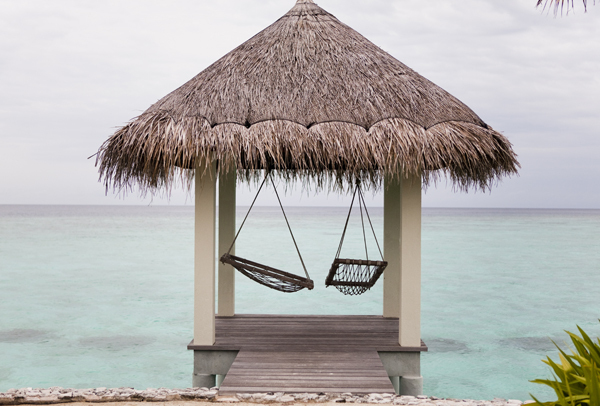 The latter was mostly unnecessary, considering that right next to the villa there was an enourmous outdoor chill-out space with a lovely thatched roof, upstairs offering a quiet retreat with a hammock and a large day bed to chill and dream in, to the sound of the ocean. Deciding on the best place to hang out was probably the most troublesome part of our time there because everthing was so amazing. 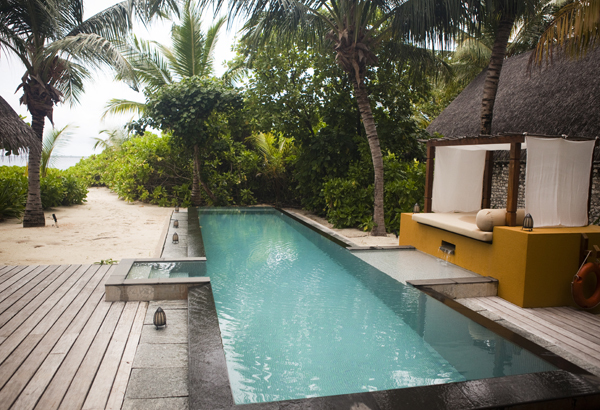 Eventually we opted for the daybed next to the pool, given that it came with ocean view and a mini waterfall pooring fresh water into the lovely lap pool. 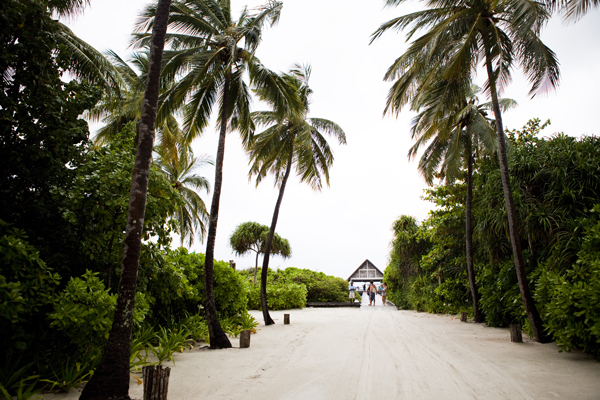 Every once and so often we would walk down the intimate path to the ocean and take a dip. 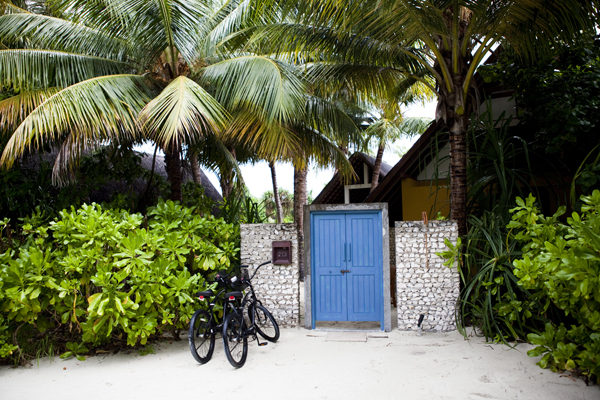 Even when the hotel is fully booked it manages to feel incredibly private. Somehow you rarely see other holidayers during the day but at nights all 4 restaurants are usually full, so they must be there. I assume they’re mostly honeymooners who prefer to stay inside. You can imagine why. On our second day it rained very hard, my cue to do one of my favorite things in the world: going swimming in the rain. If you’ve never tried it I highly recommend you do. 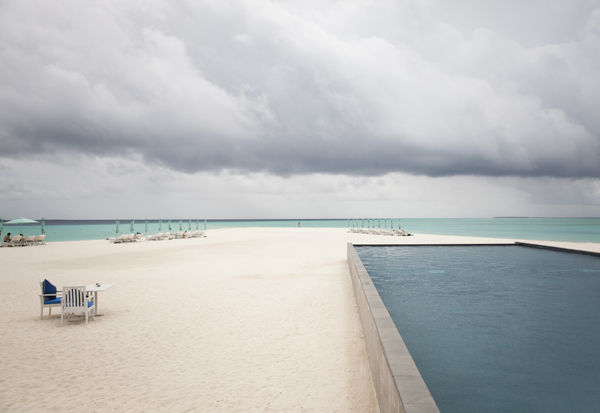 For a straight 2 hours we hung out in the sea, talked, did flips like children and felt the clean Maldives rain on our faces – completely magical. So how does Landaa compare to Kuda Huraa? The short answer would be: it doesn’t. It really is quite different and I wouldn’t be able to pick one over the other. 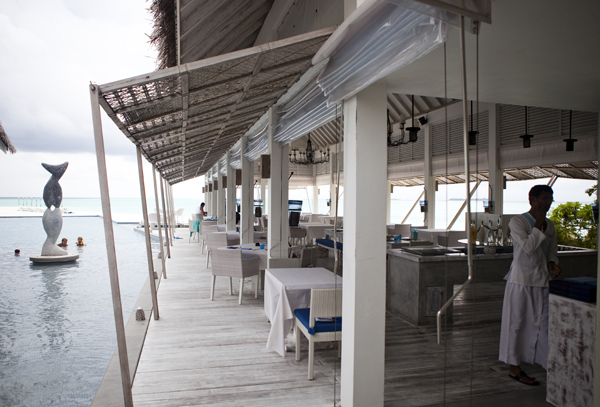 Landaa has a very sleek, modern edge which especially comes through in their restaurant called BLU which not only excells in incredible culinary delights (mostly Italian) but also design. Other restaurants include Al Bakarat, specialising in Arabian cuisine and highly raved about by holidayers (we did not test it ourselves for lack of time but it looked stunning with hundreds of oriental lamps hanging from the ceiling), the Landaa Cafe which mostly offers classic Western delights with Eastern influence and finally there is the Fuego grill, adjacent to the seawater pool where you can enjoy a wide selection of organic and prime cut meats, salads, sandwiches and Asian dishes from an open kitchen pavilion. A fancy place that does not require fancy dress-up. Leave them heels at home unless you want to wear them in the sand. 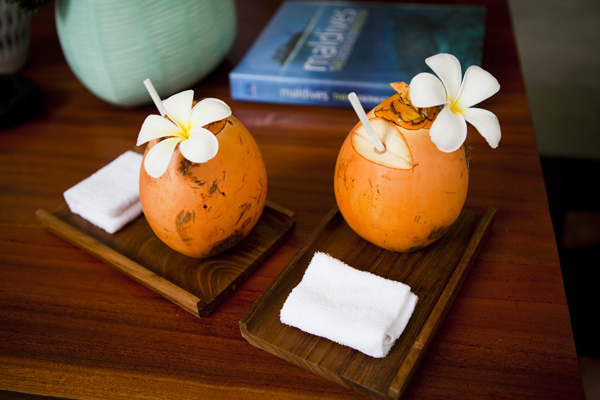 The luxury resort has a total of 93 accomodations, ranging from a lovely beach bungalow with pool to the incredible 310sqm 2-bedroom royal beach villa. Even the smallest bungalow is still 75sqm large, so bigger than most apartments. Nothing about this place feels low-budget. 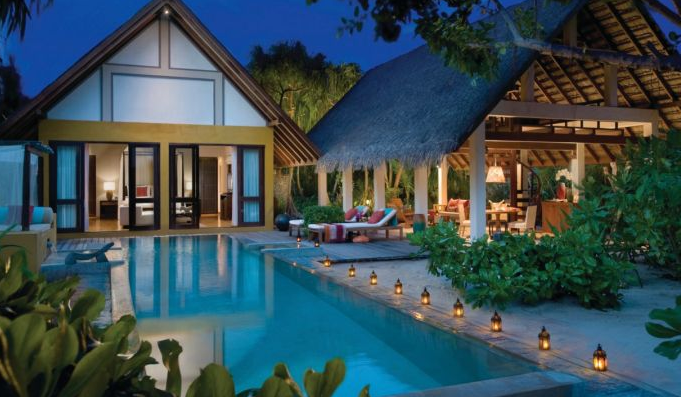 Our beach villa with pool totalled 137sqm in size. 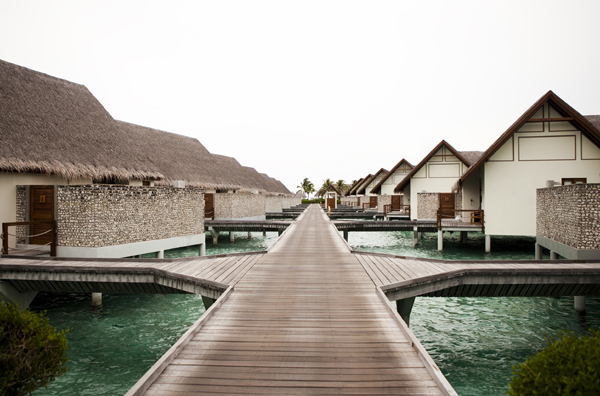 Apart from the beach villas you also get the obligatory water villas and bungalows, so famous for the Maldives. 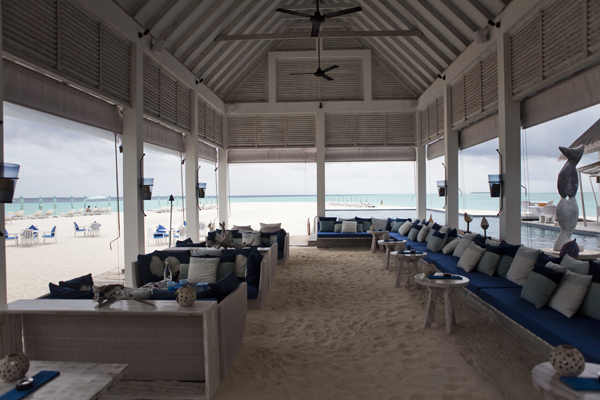 Having tested both, I must say I might almost prefer the beach villa, but I like sand, so there’s that. 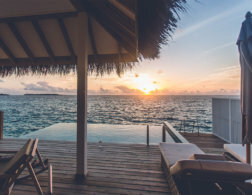 That is not to say that there isn’t something incredibly beautiful about having a panorama window in your room, so you can watch the sun setting into the infinity of the ocean from your bed. It really doesn’t get more romantic than that. 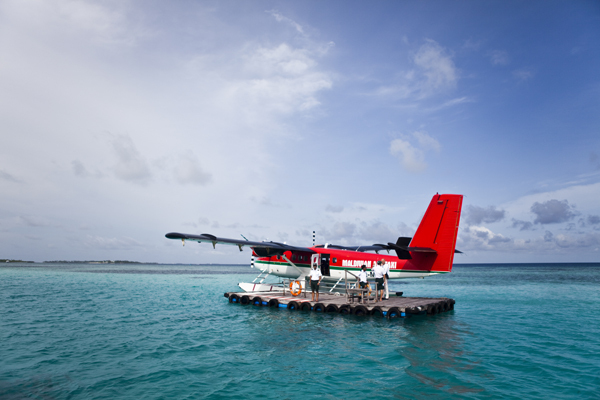 To get to Landaa Giravaaru you get to go on a seaplane, a unique experience in itself and a gorgeous 30min flight from either the airport in Malé or the Four Seasons resort in Kuda Huraa. Did you know that most pilots don’t wear shoes during the flight? If that seems “relaxed” to you, try the co-pilot texting on his cellular – it’s a different world out there. 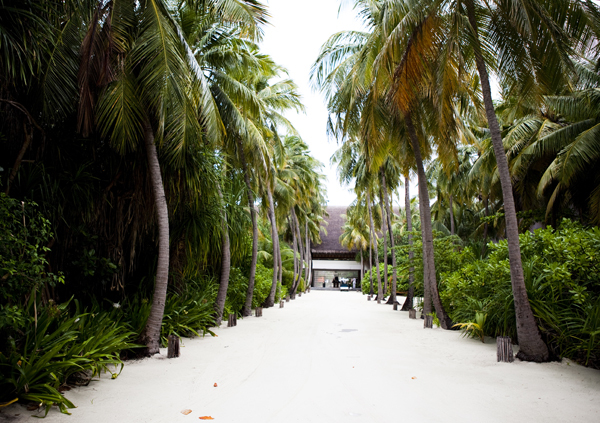 This is one thing I love about the Maldives – everything feels like a proper holiday. Noone is tense or trying to impose a lot of rules. Everything just runs smoothly, everyone has a smile on their face, simply because there is so much to smile about! 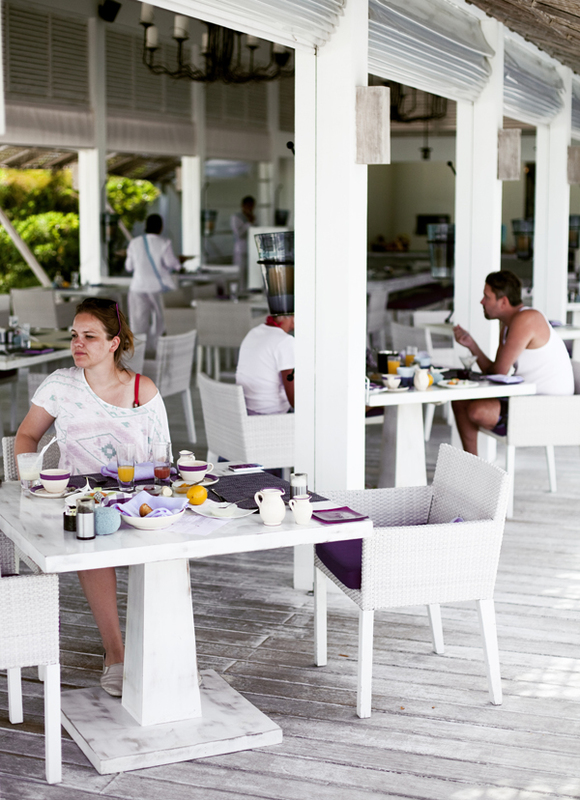 When in the Maldives I have never felt like the resort staff was only friendly because they had to be. Something about this group of islands just makes people happy. 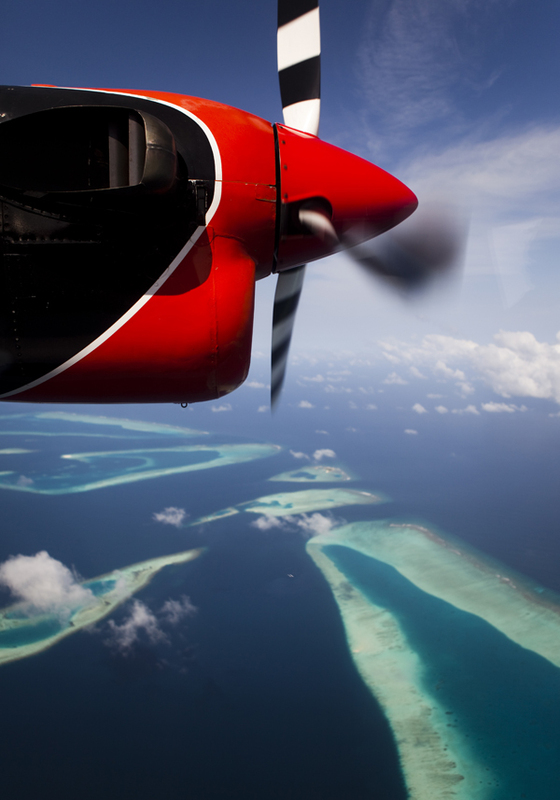 Easily the best part of the experience is the view, which by the way you’ll also experience as you fly into Malé. The turquoise atolls look breathtaking from above and will have you snapping all throughout the flight, not even noticing time going by. We only had 2 nights in Landaa and on our second day it rained so hard some people would have despaired. We on the other hand hopped from bar to restaurant back to our villa, went dancing in the rain, swimming the sea, read books, talked for hours, watched a film on dvd and went for a massage. Oh and what a massage it was! 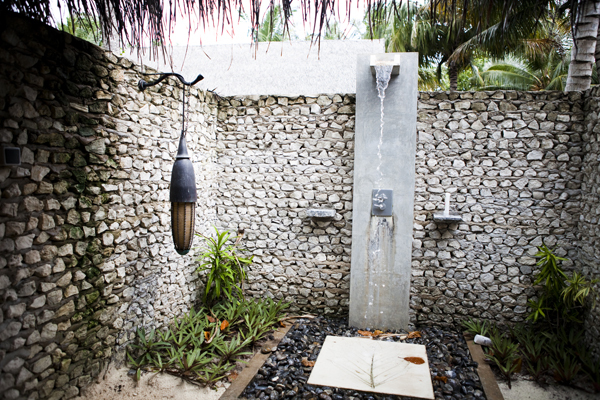 The spa area in Landaa is one of the best ones I have come across with lots of water huts providing space for various treatments – facials, scrubs, massages and the like, but also yoga, a jacuzzi and other cool things. We slurped on a fresh coconut as a friendly nutricianist talked us through what types of people we were based on some stuff we had filled out on a questionnaire. I virtually forgot everything about it, but it was a fun thing to do in that moment. 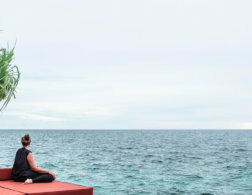 I think what might have impacted my memory was the 2-hour oil massage that followed, performed by not one but 2 therapists (male of all things – supremely awkward, but still pretty darn cool) which to this day is stuck in my head as 2 of the, erm, more interesting hours I have spent last year. During the final stage of the treatment I was scrubbed off with mud, so this is what I looked like when I hit the shower. 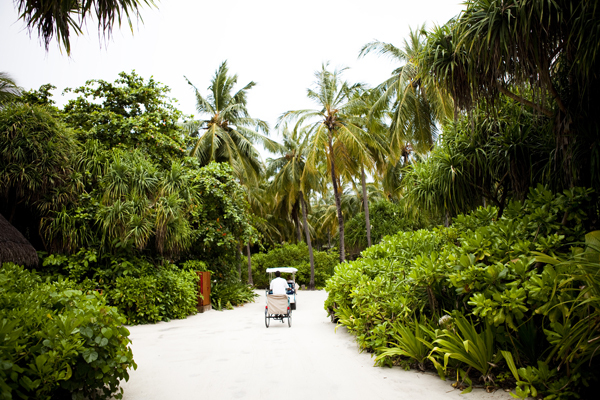 The one thing we did in Landaa that was very special and is something I would recommend to anyone intending to visit any Maldives island is a visit on one of the local islands. 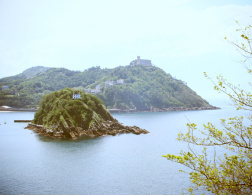 Quite often those are located very close to the touristic islands and they are a great way to get to know some locals and their lifestyle. After all, the Maldives only have about 320.000 inhabitants and apart from the capital Malé most islands have no more than 300 to 500 people living on it. 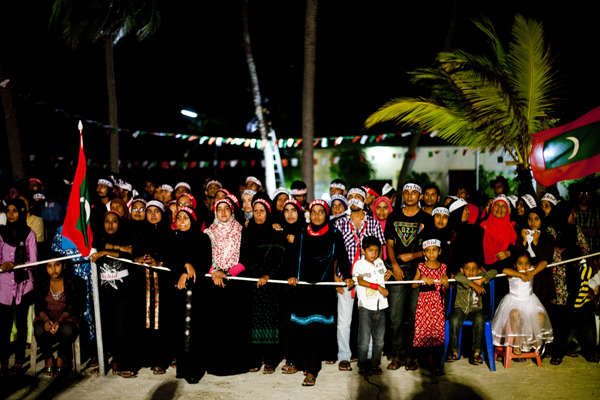 One great custom Maldivians have is the Boduberu where a group of about 20 young men, including a drummer and a lead singer sing tales of heroism and romance while 3 or 4 men will go dance on a stage, their moves becoming wilder as the song progresses. 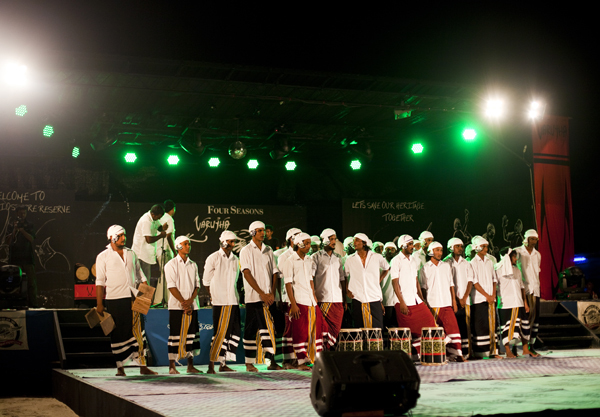 As proud sponsors of the Boduberu challenge of 2012, the Four Seasons invited us to assist the spectacle and I could not have been more surprised and in awe of the amazing songs, dances and the electric atmosphere of the event. Onlookers were ecstatic and each time a few young men would emerge from the audience and dance around the stage in support of the dancers on the stage. Everyone clapped and cheered like at a rock concert, it completely blew my mind. I want to leave you with a couple more shots of the resort. 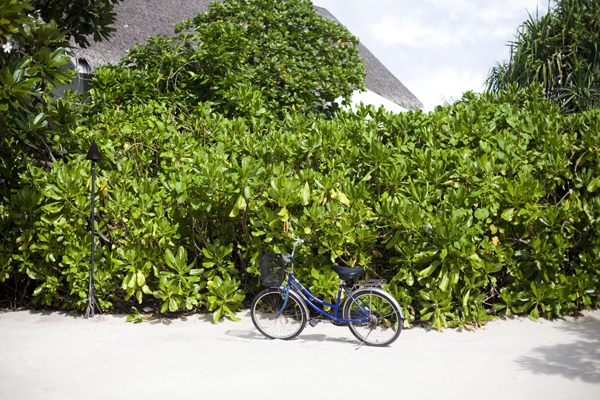 You will notice a lot of bikes around – upon arrival everyone is granted their own bike, complete with their initials on the handlebar. 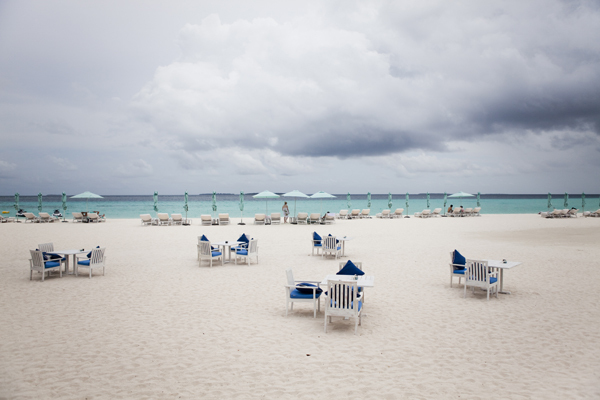 Such a fun to get around a resort, don’t you think? 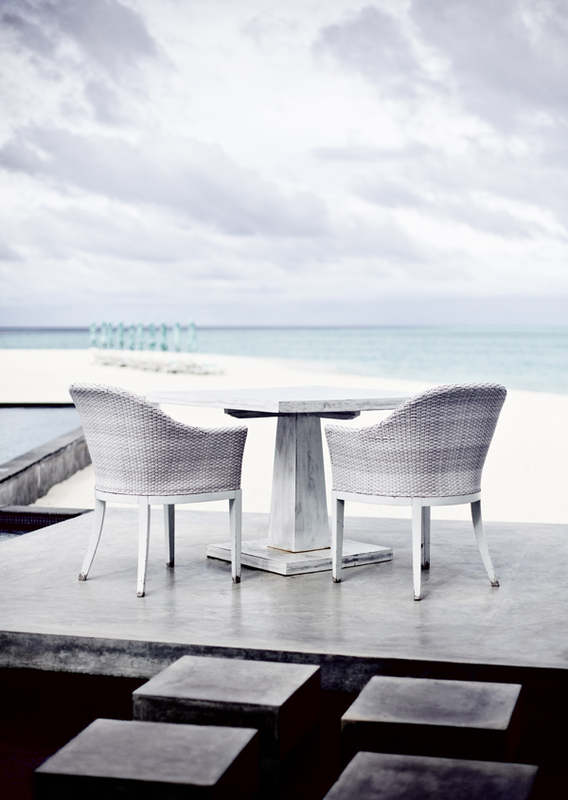 For more info on Landaa Giravaaru along with plenty more gorgeous photos check out the Four Seasons’ website. 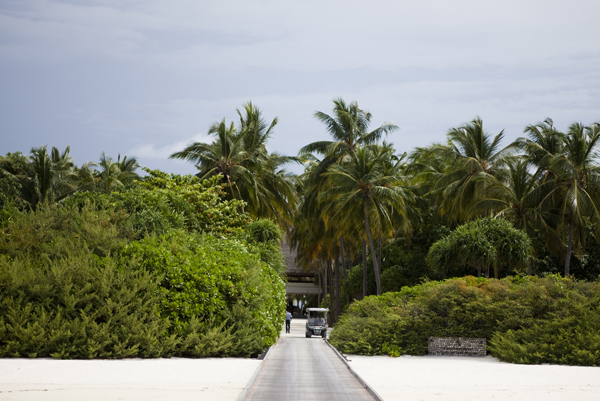 We’d like to thank Four Seasons and PRCo for inviting us out on this magical Trip. A very special thanks to Oman Air for flying us out here from Germany.